In close consultation with the City of Woodstock and Woodstock Soccer Club, we developed a phased construction approach to meet the needs of the Club and residents with a limited allocated budget. 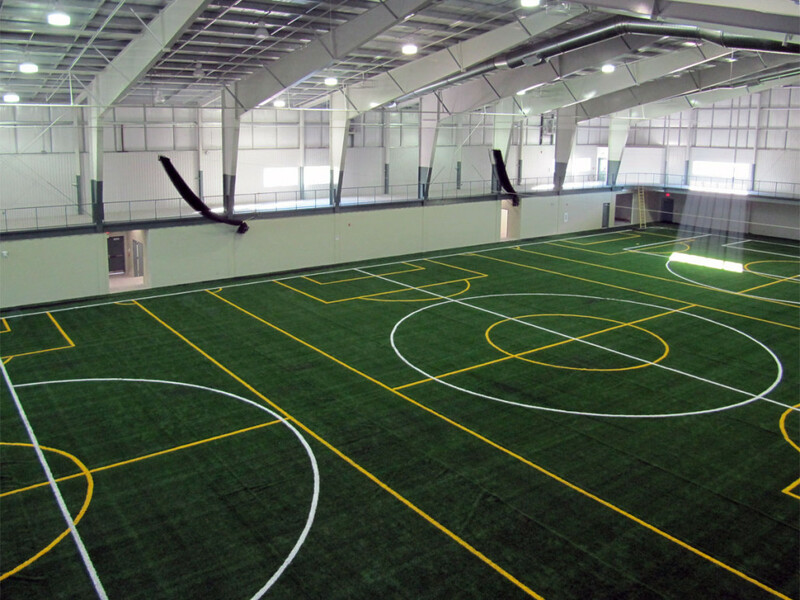 Phase 1 of the soccer facility comprised a total area approximate to 710 m² (7,650 SF) in a single storey of new construction. 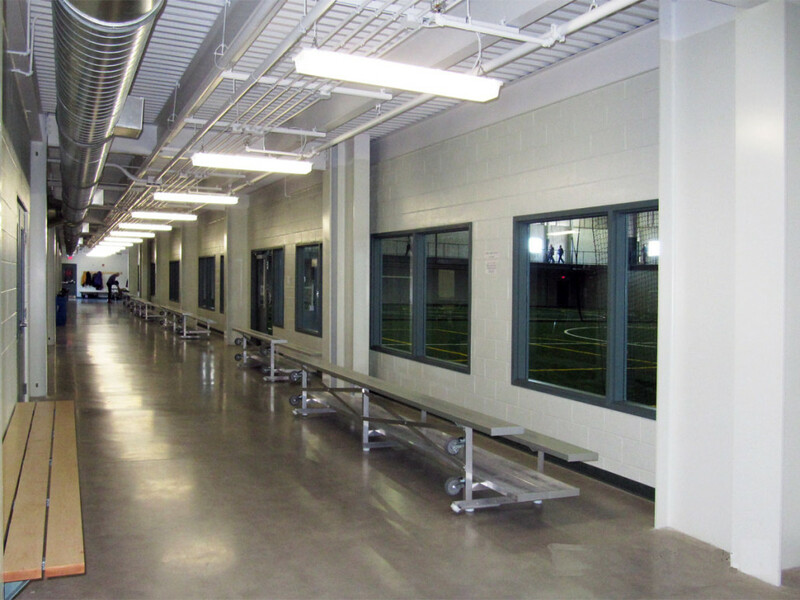 The facility houses change rooms, public washrooms, office, meeting areas, servery and associated support spaces. 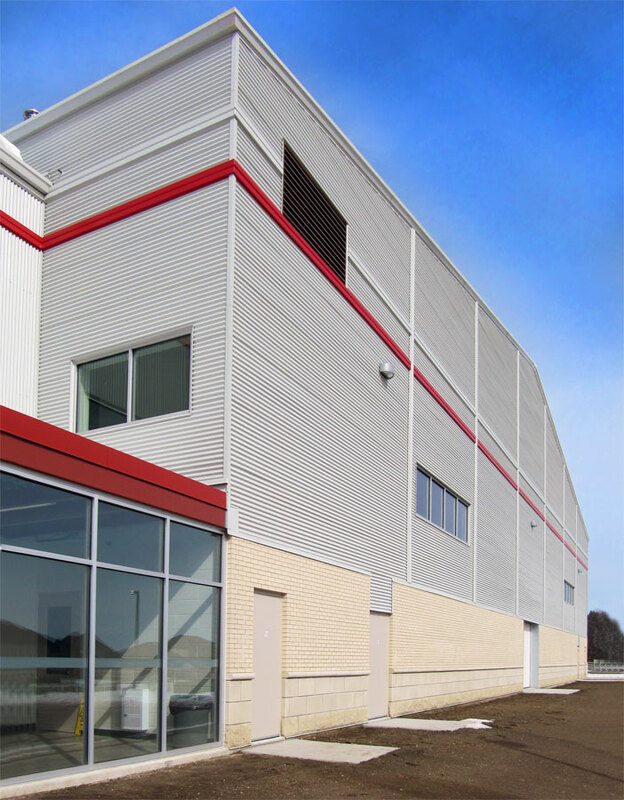 Phase 2 addition 4,300 m2 (45,000 SF), opened in 2010 and includes a pre-engineered indoor soccer pitch with elevated indoor running track, 2 court basketball size pre-engineered gymnasium, viewing and storage areas as well as additional washrooms, meeting areas, servery/bar and eating/gathering spaces. 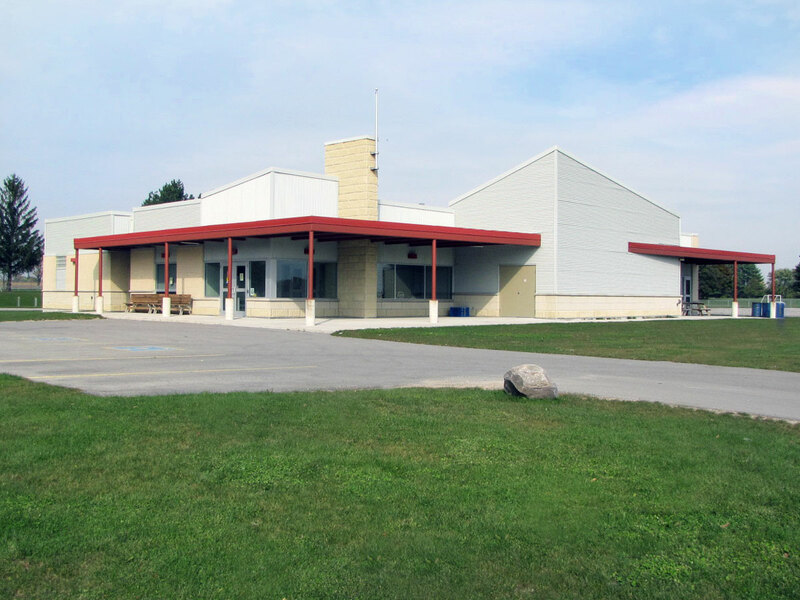 The building systems selection was part of cost optimization process that resulted in $500,000 in savings, which the club was able to invest in a state of the art sound system and commercial kitchen equipment that helped generate a stream of income to support the facility. Waterloo Regional Police Service North Division Apartment Building – 21 Columbia Street W.